"Fractal geometry is manifested throughout our natural world and I find these naturally occurring complex patterns most intriguing. Creating fractal art gives me the sensation that I am painting with the same tools that make nature beautiful." I use mathematical algorithms as the basis for my work. I have practiced traditional art forms since I was a child, but in 1999 I discovered my favorite form of artistic expression through fractal art. I find deep satisfaction in manipulating algorithmic perfection and I enjoy the process of analysis between each step. Fractal geometry is manifested throughout our natural world and I find these naturally occurring complex patterns most intriguing. Creating fractal art gives me the sensation that I am painting with the same tools that make nature beautiful. Since I use mathematical feedback loops as my starting point, my works are recursive by nature and themed by patterns that infinitely repeat at smaller dimensions. My objective is to create pieces that evoke wonder and emotion within the viewer. Musical themes are often included in my art because I've practiced piano since the age of 5 and I have a strong love for music. My musical passion flows over into my artistic expressions and vice versa. One day I may be creating art that was inspired by a song and the next I may be writing a song that is inspired by one of my artworks. This confluence between music and art is a perpetual source of inspiration for me. In 2007 I started my own business Fractal Abyss Designs, producing grand scale fractal art murals for residential and commercial settings. 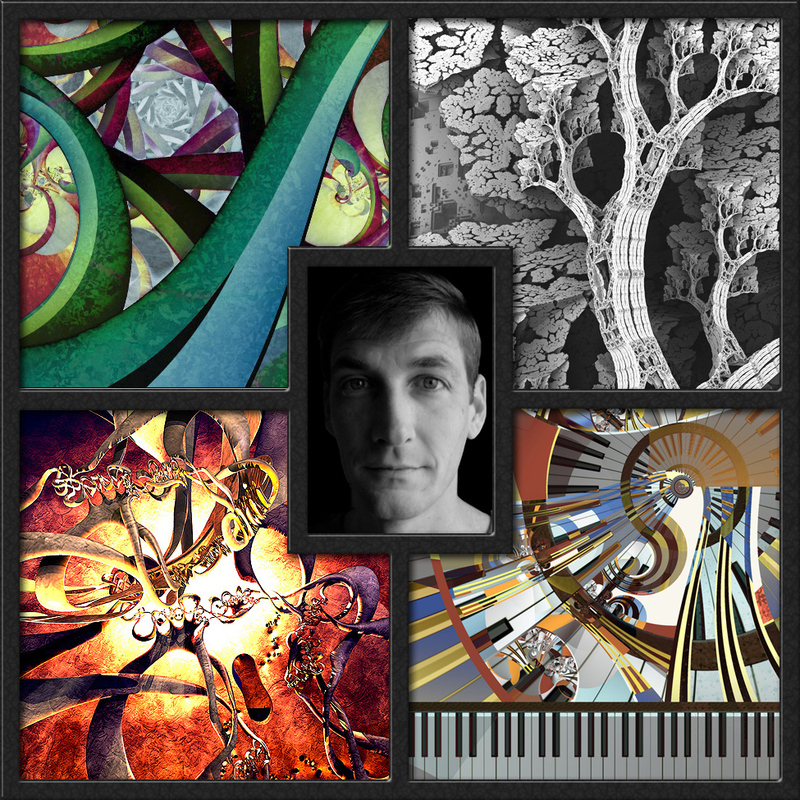 My goal is to introduce the world to fractal art by displaying artistic expression through the beauty of mathematics. Please check out my YouTube channel for more. This website was original published on 01/17/2002 and was last updated on 11/04/2018. I produce limited edition prints of my work in a variety of formats including fine art prints, metal prints and gallery wrap canvas. If you are interested the purchase or publication of my art, please contact me for a quote.